A new iOS 10.3.2 app called Houdini has been released for iPhone and iPad users. It’s a semi-jailbreak, and we have the details on it right here. Houdini is a Cydia Impactor Sideload-able App that Lets You Install Tweaks Without Having to Jailbreak Your 64-bit iPhone or iPad. The world of jailbreaking has come to a slight standstill. But there are developers working behind the scenes that are working to make the jailbreak experience a far better one for those who are on compatible firmware. 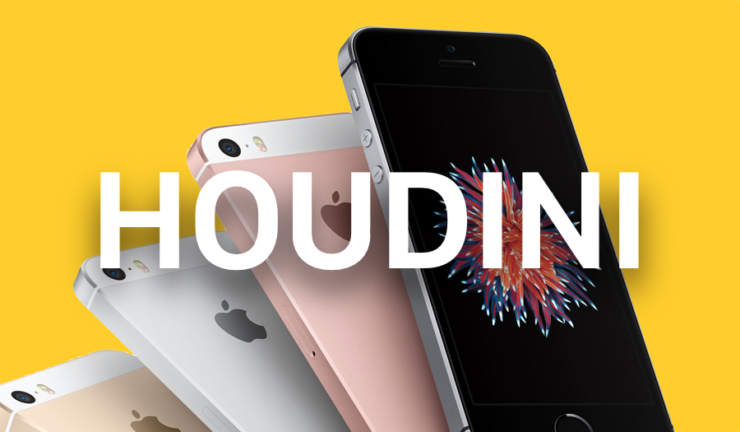 If you have a 64-bit iPhone or iPad and happen to be on iOS 10 all the way up till iOS 10.3.2 then Houdini is a new solution that you should look into. It comes with an interesting twist too. See, it’s best to classify Houdini as a ‘semi-jailbreak’ as it is not a jailbreak in the first place. Basically, it will partially ‘jailbreak’ your device, allowing you to install tweaks or themes that do not require Cydia Substrate to work. The best part is: Houdini itself can be installed via Cydia Impactor which is absolutely free to download in the first place for both PC and Mac. If you have no idea what you’re getting yourself into, then I would suggest not touching on Houdini at all. It’s in beta for now and there are a lot of things that can go wrong in the process, forcing you to restore your device via iTunes, making you lose your files and settings. We totally don’t want you to go through that trouble at all. You can download Houdini by heading over to this link. The tutorial for using Houdini is outlined in the embedded video below.